August 2017 – As seen in Hotel Management magazine. It takes a lot of work to make some groups happy. They want great rates. Every room must be ready, simultaneously, when they arrive—even if they’re early. Heaven help you if you provide an Americans with Disabilities Act-compliant room when it is not needed or the air conditioner rattles or the sheets rustle too loudly. Then, the banquet events must be perfect. If the eggs are cold, you might as well close the hotel. You’re thrilled when they check out. But you still need to provide an error-free invoice. So, you dot your “I”s and you cross your “T”s and attach a copy of every bar bill and room service receipt. No wonder you go into a small rage when the group stiffs you on the bill—and won’t even return your calls. 1. If you can’t get prepayment in full—prepayment is rare—get a personal guarantee. 2. Deposits are nice, but not critical. They can demonstrate good faith and weed out the worst customers. Still, a deposit for the first 10 percent doesn’t protect you from getting stiffed out of the last 90 percent. Too many hotels get a deposit and then let their guard down, ignoring critical protections. 3. You must have an attorneys’ fee provision. If the group does not pay and you hire an attorney to collect, the group must pay your legal fees. Without this provision, you may face a situation where you lose even if you win. That is, it costs more to sue than the amount you win. 4. Get interest on overdue payments. You are not a bank. Don’t become an interest-free lender. Worse, if you don’t charge interest, your bill goes to the bottom of the deadbeat pile. 5. Add a cross-default provision. If the group defaults on one contract, it is a breach of any other agreement that you have with that group. This increases your leverage because you can cancel future stays. 6. Provide that you can sue the group in your hometown. Groups come from all over. Don’t put yourself in the position of having to travel to collect. 7. Apply the laws of your state to the contract. Don’t get stung by some strange law from the group’s home state. 8. Use arbitration instead of courtroom litigation. This slashes the time and cost of collecting. 9. Limit the time period during which groups can dispute or audit bills to 30 days, preventing endless disputes. 10. Don’t pay commissions until you get paid. You’ll have another motivated person pushing for payment. How did you score—90 points or better for an “A”? Or, like most hotels, are you hoping for grading on a curve? Fix your contract. You’ll be valedictorian. Better yet, you’ll get paid. Jack Garson is the founder of Garson Law in Bethesda, Md. 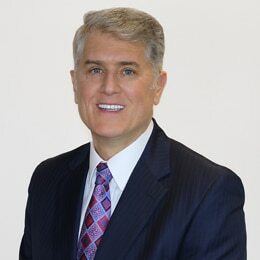 He leads the company’s business practice and has extensive experience in hotel contracts and related disputes. Contact Garson at jgarson@garsonlaw.com.